« Lets Make a Difference and Warn Each Other! 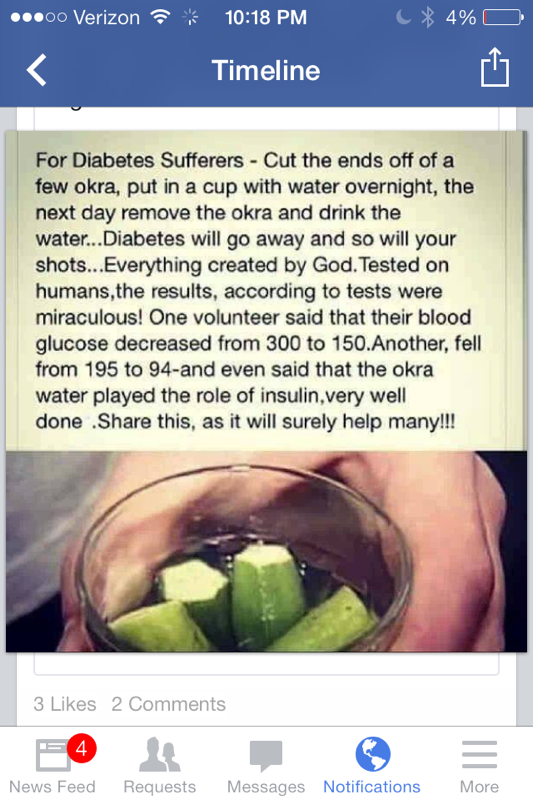 Healthy Tip for people with/or know someone Suffering from Diabetes..
With a lot of people suffering from diabetes across the world, I hope this tip is helpful. Continue to Fight and Never Give Up!